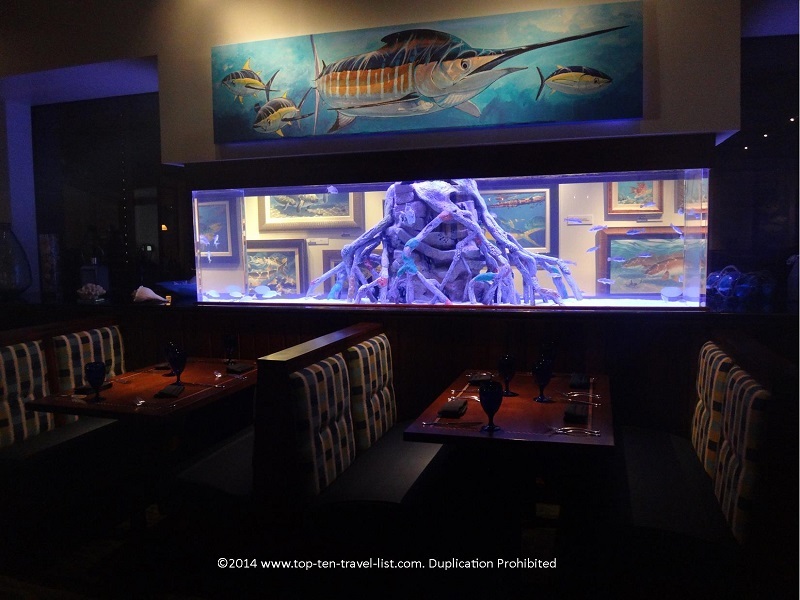 Guy Harvey's Rumfish Grill in St. Pete Beach - Top Ten Travel Blog | Our experiences traveling throughout the US. 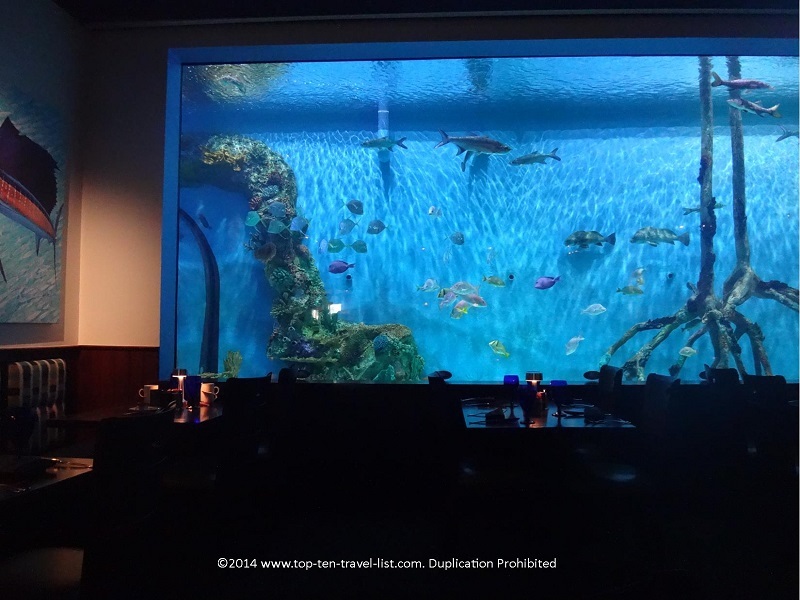 If you have ever seen Animal Planet’s original series Tanked, then you are well aware of the creative aquarium masterpieces designed by Wayde and Brett of Acrylic Tank Manufacturing, a Las Vegas based company. 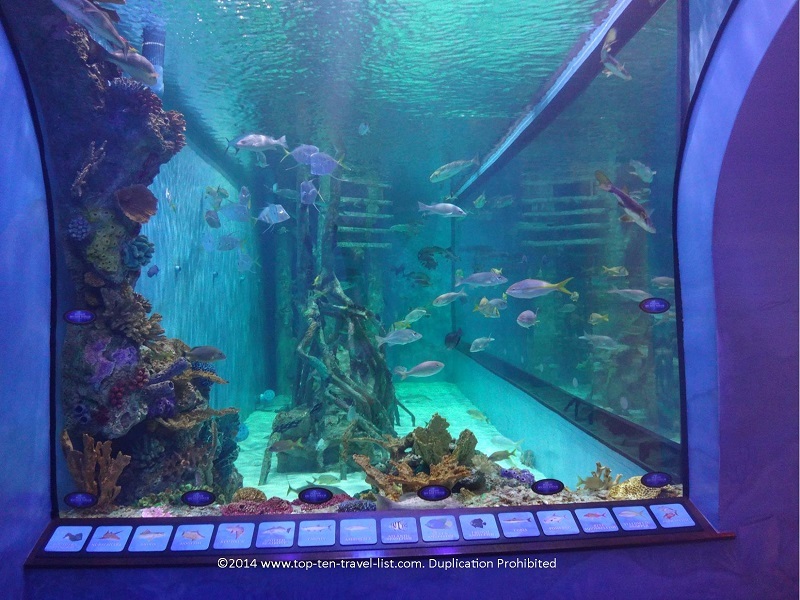 For those of you who are unfamiliar with the show, Tanked is a reality series which follows the extraordinary tasks of ATM, many of which include incredible projects for casinos, hotels, and celebrities. 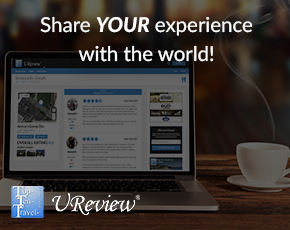 Over the years, the team has created many breathtaking aquariums including: a themed coffee mug/donut tank for Dunkin Donuts, a shark inspired tank for comedian Tracy Morgan, and a 3300 gallon tank for the Valley View Casino in San Diego. 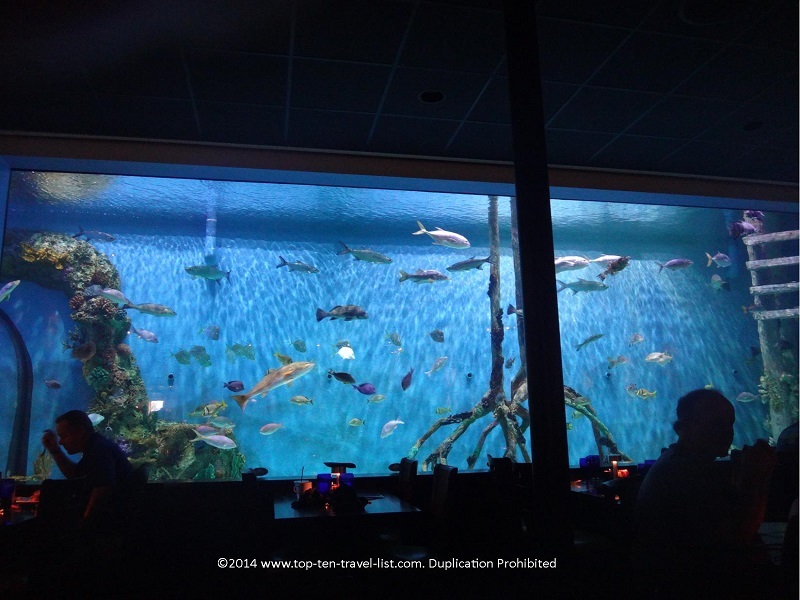 One of their newest completed projects is a stunning 33,500 gallon tank for Guy Harvey’s Rum Fish Grill, located in the TradeWinds Island Resort in St. Pete Beach, Florida. 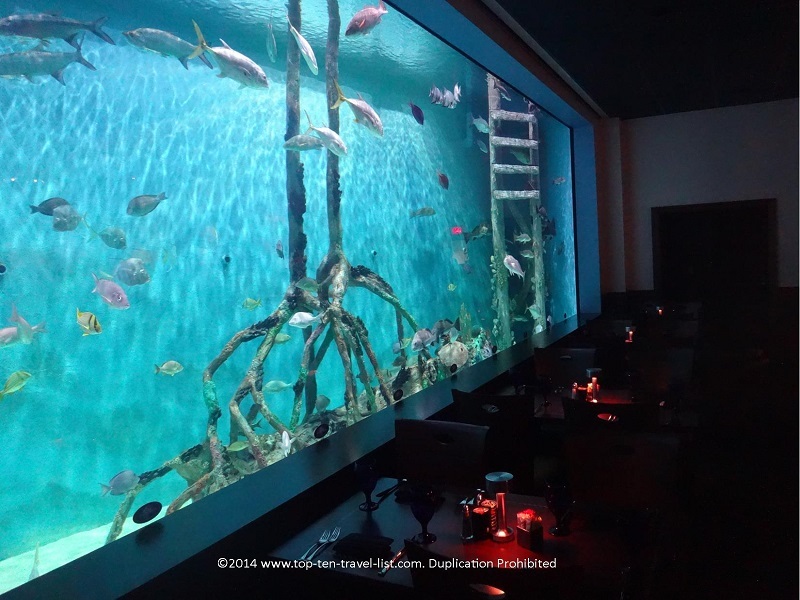 The restaurant just opened earlier this year, and since then has been drawing in both locals and tourists who wish to dine alongside the impressive 1 million dollar tank. Rumfish serves breakfast, lunch, dinner, and a special Sunday brunch. The dining room is dimly lit and backlit menus are used so you can read them in the dark. The setting is pretty original and unique to the area. The tank is massive, so all guests will have a great view. 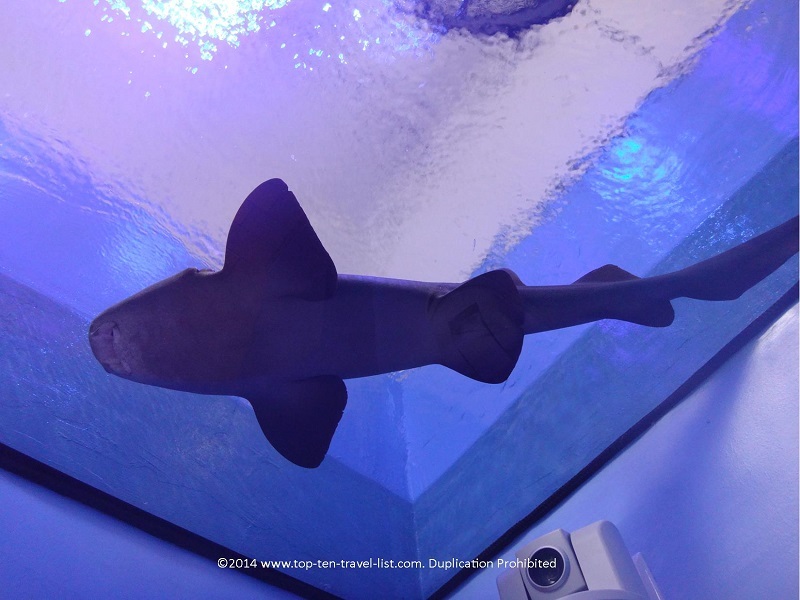 For $25 guests can snorkel along with 30 different species of fish, including a nurse shark. We had an excellent seat -the second row from the front of the tank. This location allowed us to take some great photos, especially since the front row began to clear out after we sat down. Take a few looks below at this incredible tank! 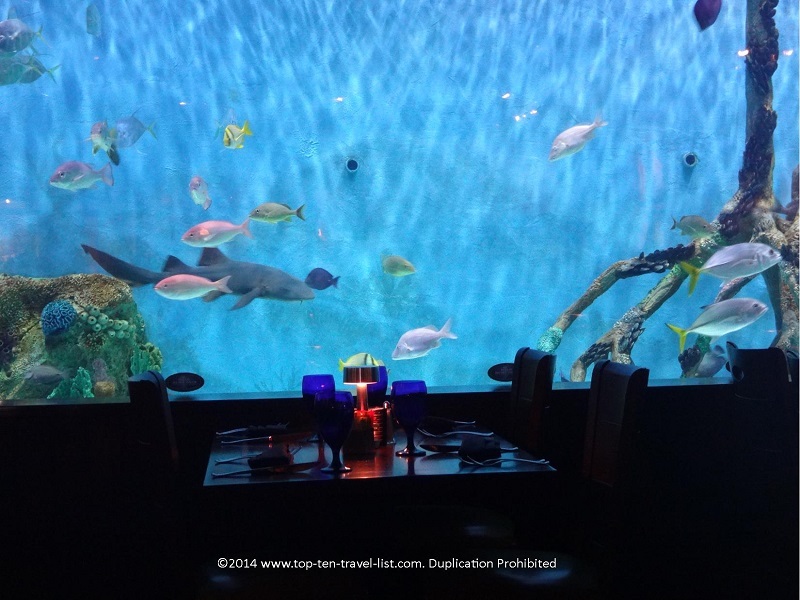 After your meal you can walk over to the tank viewing area. Here you can also watch a brief video clip of Wayde and Brett discussing the building of the tank. Breakfast was fantastic and service was excellent. The chef even came out to verify that our meals were gluten free. Gluten free guests will be satisfied both with the availability of gluten free menu items and the staffs willingness to accommodate with no problems. There are plenty of GF items on the menu, including: omelettes, french toast and pancakes, and special biscuits in place of the toast. 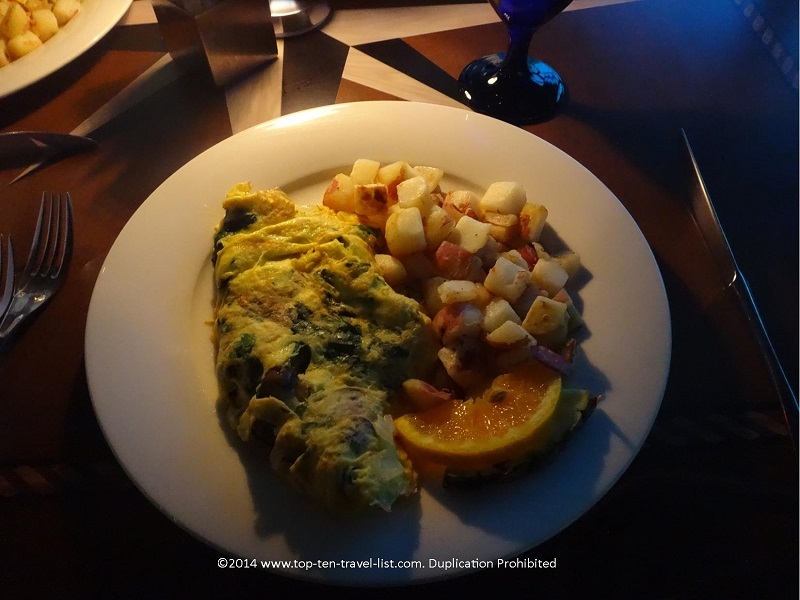 My veggie omelet, potatoes, and biscuit were great, just the right portion for a filling breakfast. 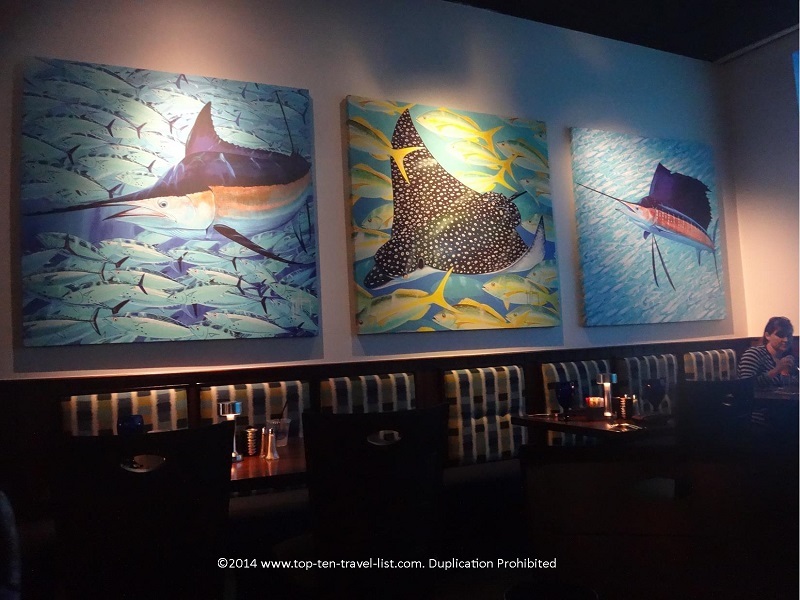 I would definitely recommend Rumfish Grill, not just for fans of the series, but also for St. Pete Beach tourists and locals seeking a unique dining experience. Dining should be a unique experience, not simply a meal. 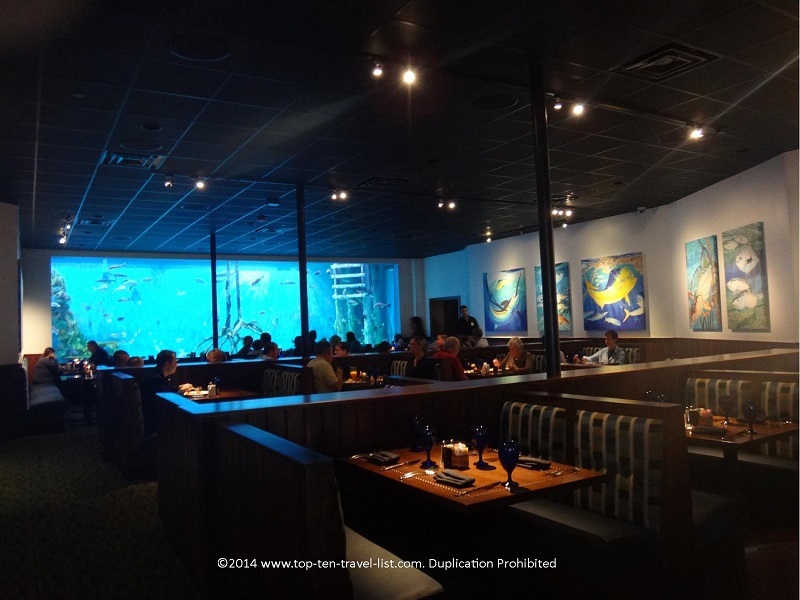 Not only does Rumfish have a wonderful setting, they also have some of the friendliest servers in the area. 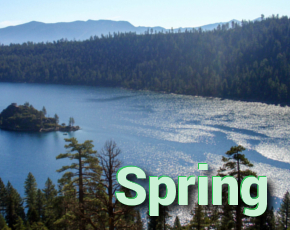 Hours: Monday-Saturday (Breakfast: 7 a.m. – 11 a.m., Lunch: 11:30 a.m. – 2 p.m., & Dinner: 5 p.m. – 10 p.m.) Sunday (Breakfast: 7 a.m. – 10 a.m., Brunch: 10 a.m. – 2 p.m). Make reservations (the restaurant was already pretty packed by 9am on a Saturday, so reservations are highly recommended). What else to do in St. Pete? *Check out Pass-a-Grille beach, a more laid-back section of touristy St. Pete Beach. *Take a nature stroll at Weedon Island Preserve, one of the best places to escape the crowds and congestion. *Stop by the coffee bar at Chill and Steam for a delicious Americano or Chocolate Mocha. *Enjoy a narrated tram ride (and possibly alligator sightings!) through beautiful Boyd Hill Nature Preserve.